"One of the unique things about the Kleine Nete is that there is still freshwater tidal influence, which means the river is affected by tides," said Wout Opdekamp, project coordinator of the LIFE Kleine Nete project. 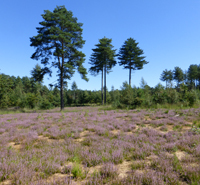 "This, combined with the connectivity to heathlands, makes it a very special area. 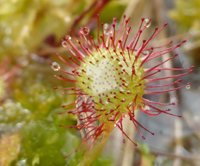 You can find species like the summer snowflake, which is an inhabitant of freshwater tidal systems, and only a few hundred metres along on you can find dry heath species." Decades of tree planting, intensive agriculture and drainage placed several habitat types in the Kleine Nete Valley under severe pressure, resulting in a loss of biodiversity, with some species on the verge of extinction. The construction of holiday cottages and artificial ponds caused major fragmentation of the natural habitats of the valley as well as causing other problems such as the introduction of invasive species and increased waste disposal. "One of the main difficulties in Flanders is that the landscape is highly fragmented, so we truly had to piece the nature reserve together again by acquiring private land," says Mr Opdekamp. With the help of LIFE funds, the project successfully restored the region to a more natural state, with better connected habitat types, reversing the impact of years of destructive activity. The project removed a number of former holiday cottages and transformed their artificial ponds into more natural environments. By creating a better connection between the river and the valley bottom, the flood risk was reduced and biodiversity improved, which now includes a stable beaver population. Within the context of the LIFE programme, the project performed an important eco-hydrological study and developed an innovative 'Softrack' vehicle. "It's a caterpillar-tracked device that can mow grasslands or peatlands that are inaccessible by regular agricultural devices, because it has a very low ground pressure," says Mr Opdekamp. The Kleine Nete team also launched a new initiative to produce compost from the vegetal biomass produced by the management of the grasslands and heath vegetation. One of the project's successes was the close collaboration between different public bodies and interests, making the management of the region more integrated and leading to a more effective climate change adaptation policy. Led by Natuurpunt, a Flemish NGO with over 100 000 members, the project worked with the province of Antwerp and the Flemish Environmental Agency to improve the river's natural environment. Natuurpunt will continue the management of the protected areas.